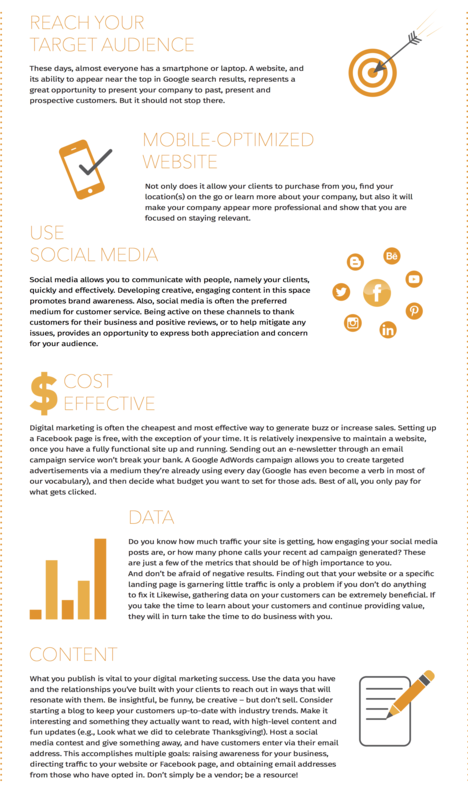 Regardless of your size, where your company is located, or what you provide to your clients or customers, digital marketing should be at the forefront. Digital is everywhere, from how we communicate to how we learn. It can be at your desk or in your pocket. You can order food or create a presentation for your clients with an app. You can use an app to get your news, and you can click a button to get a ride home. you should take a closer look at your company’s digital strategy. The digital landscape is constantly evolving and changing, so the most important thing you can do in terms of digital marketing is ensure you are staying relevant. Don’t be afraid to innovate and try new things. Failure is only failure if you do not learn something from it. This article was adapted from the original post on SBC Big Ideas via the Memphis Chamber.